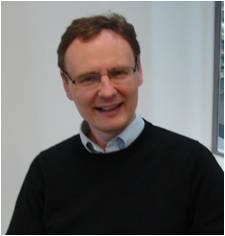 Peter Gardner holds a chair in Analytical and Biomedical Spectroscopy at the University of Manchester. He has 28 years of research experience in the field of vibrational spectroscopy and over the last 12 years has built a highly successful bio-spectroscopy group. He is based in the Manchester Institute of Biotechnology but has a long-standing collaboration with the Paterson Institute of Cancer Research, as well as the Hope and Christie hospital NHS trusts. Peter’s research focuses on the use of infrared spectroscopy and hyper-spectral imaging for numerous projects related to biomedical problems. He has a strong track record of funding from both EPSRC and cancer research charities and has managed a number of interdisciplinary research projects. He led the single cell work group of an EU funded network (DASIM) which was particularly successful in solving issues related to infrared scattering from cells.